June 16, 2016 Portland, Ore.
Nearly one year after completing the $1 billion Knight Cancer Challenge, OHSU today broke ground on its new cancer research building. 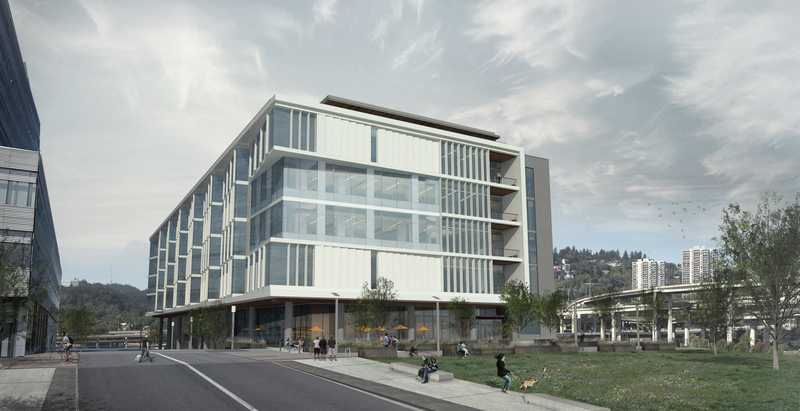 The $160 million facility, funded by an investment from the state of Oregon, will reside north of the Collaborative Life Sciences Building on the South Waterfront. Construction is slated to be complete in July 2018. 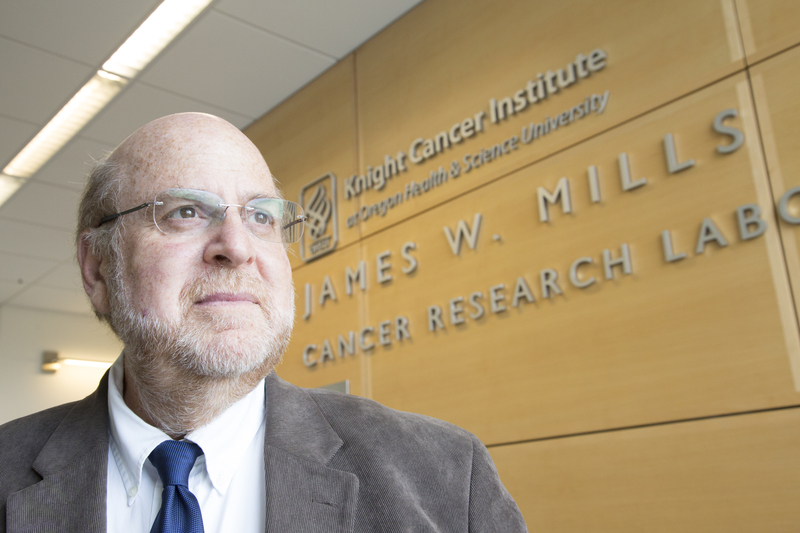 “We are grateful for the state’s investment in our mission to end cancer as we know it, and we look forward to celebrating the scientific achievements that will take place within these walls,” said Brian Druker, M.D.,director of the OHSU Knight Cancer Institute. The Knight Cancer Institute research building will house a myriad of research programs focused on early cancer detection, computational biology, and immuno-oncology, among others. It also will include administrative offices, a conference center and street-level retail space. 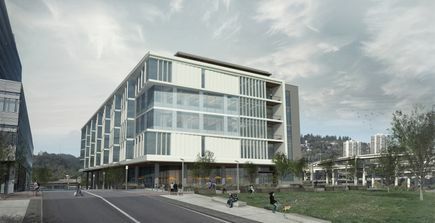 Two floors of the building will be dedicated to the Center for Early Detection Research, led by Sadik Esener, Ph.D. OHSU recruited Esener, a nanotechnology expert, from the University of California, San Diego. The key to early detection research, Esener says, is collaboration. The building’s design principles of team science and collaboration are evident in its features, which include intellectual and social hubs to foster discussion, as well as centralized, shared equipment and research core facilities. 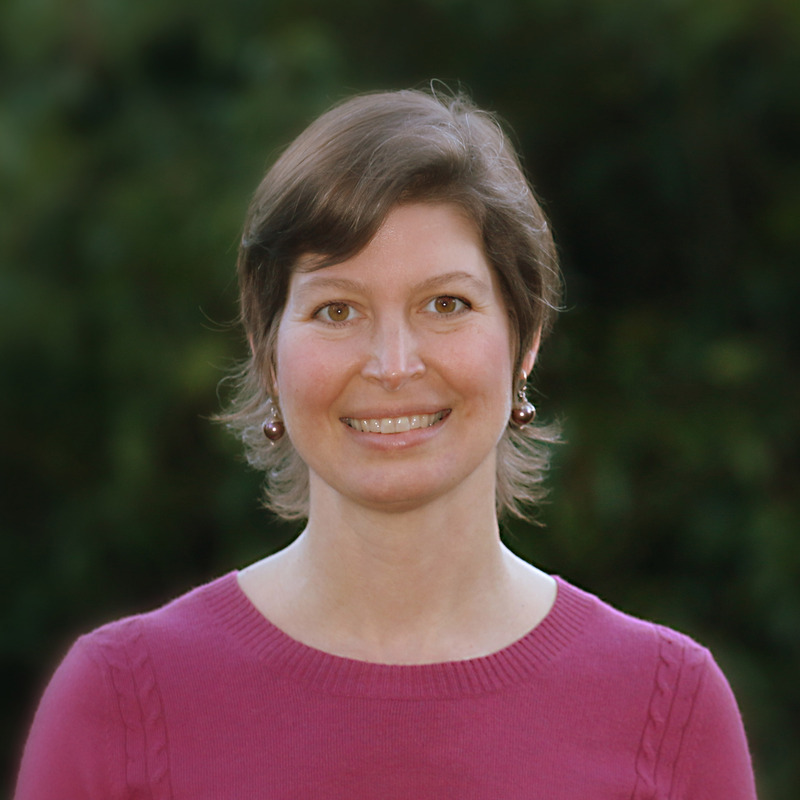 The research labs are a balanced mix of “wet” labs — referring to the use of liquids, chemicals or drugs to conduct experiments — and “dry” labs — referring to the use of computers or computer-generated models in analyzing biological data. Functional, flexible spaces and unique vertical connections encourage face-to-face interactions among researchers. All occupants will have access to daylight in a high-performance, environmentally sustainable workplace that includes such amenities as balconies and a rooftop terrace. The building team uses an Integrated Project Delivery process that optimizes budget, timeline and resource efficiencies during the design and construction process, in close collaboration with architect SRG Partnership, Inc. and the construction joint venture team comprising McCarthy Building Companies, Inc. and Andersen Construction.